Today you get a reprieve from Eva pictures. Don’t get me wrong I still have a million more to scrap, but this past weekend one of Australia’s biggest craft markets took place. I am such a sucker for a craft market. This one takes place in a huge historic building, where everyone gets packed in like sardines. It’s a fantastic environment and to a certain extent you’re forced to make friends, be it with the lovely lady who is so apologetic for accidentally grazing your rear end while reaching in to her handbag for her wallet or the charming toddler who takes your hand thinking you’re his mummy. Both of which have actually happened to me. Sadly however it’s no place for strollers. I had never missed a single one before Eva was born. Now I’ve missed two in a row and I’m dying to get back. Until then I’ll just do my own little ‘Ode to The Finders Keepers’ over here. 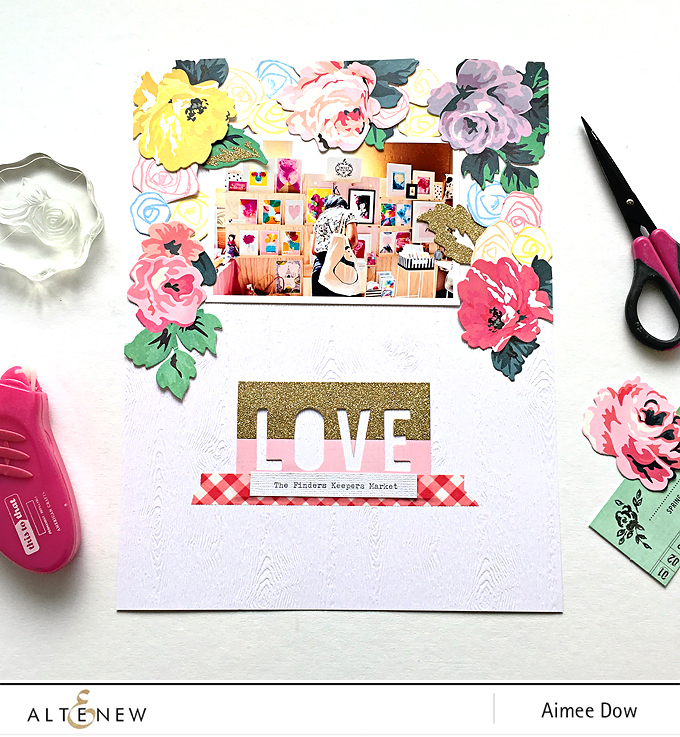 So armed with my trusty Altenew Ink Pads, The Bamboo Rose Stamp Set, a Maggie Holmes Bloom Ephemera Pack, a roll of washi and a piece of Altenew’s Woodgrain Cardstock, I put together this quick layout to ease my heartbreak. 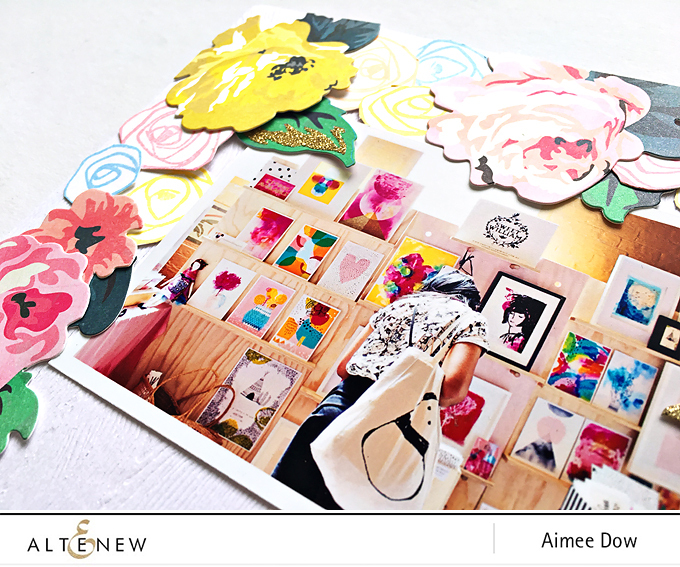 When I first started putting together the layout I notice that the ephemera pieces weren’t really a good match for my photo and they came across really heavy color block when used together. It was that point I decided to use the Bamboo Rose Set to stamp out a load of Roses to introduce some of the colors from my photos and to lighten up my garland. You can see the four colors here: Perfect Peach, Caribbean Sky, Cotton Candy and Mango Smoothie. 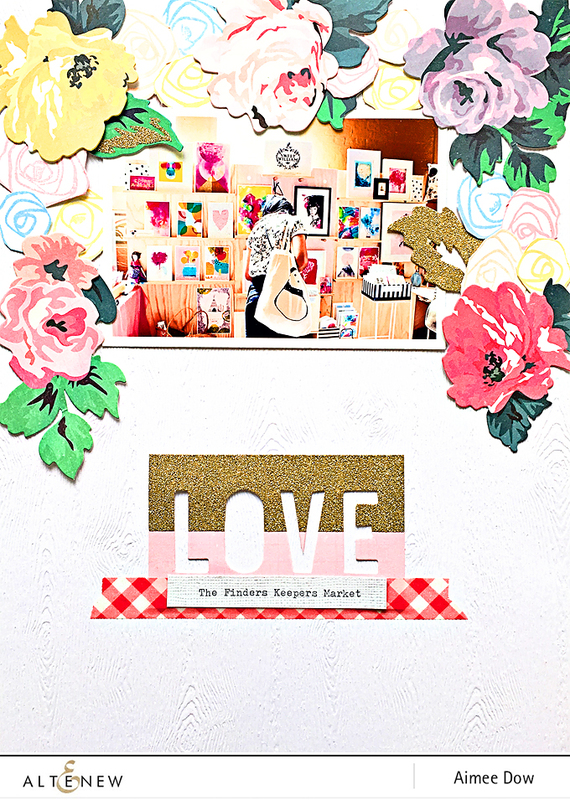 I was just waiting for someone to burst in to my studio to give me the ‘Worst Fussy Cutter’ Award. I really feel like at this point I’ve earned it. I layered the garland up to create some dimension and movement on the page. 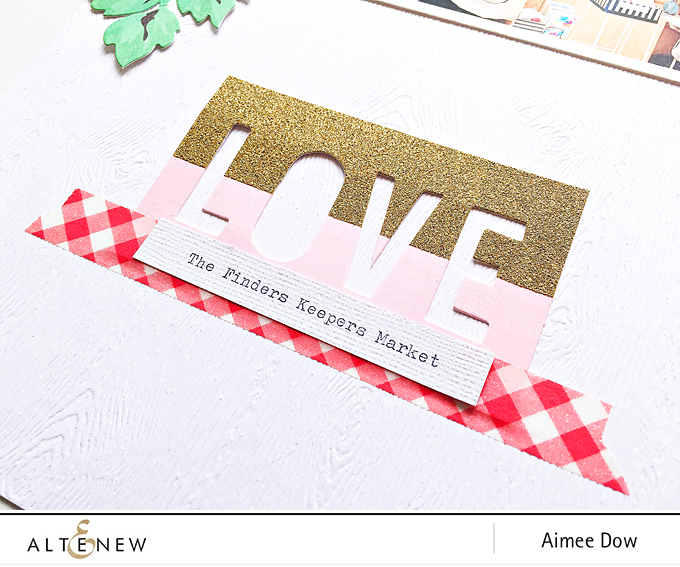 Finally I used a cut out piece of ephemera as the title to highlight the beautiful Woodgrain Cardstock underneath. Totally filled the void, sorta. Okay, it didn’t really. I STILL really want to go to The Finders Keepers *Sob*, but it did keep me distracted for 45 minutes until the Bubba woke up. Gorgeous layout! 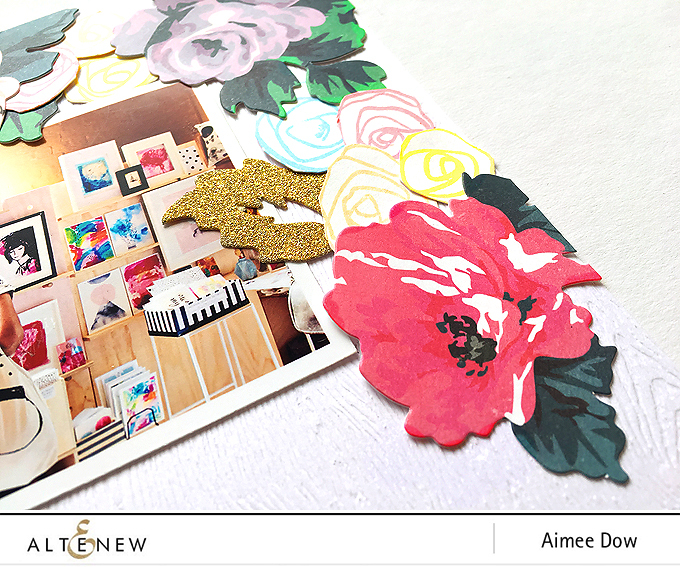 Love the floral elements and the touch of glittery gold!